Through the work, the public realm will be enhanced at and around the entrance to the Govan Old church and adjacent to the Pearce Institute and Govan War Memorial, as well as on Pearce Lane, Burleigh Street and Langlands Road connecting to Langlands Path. Both Govan Old and the Pearce Institute are Category A listed buildings. 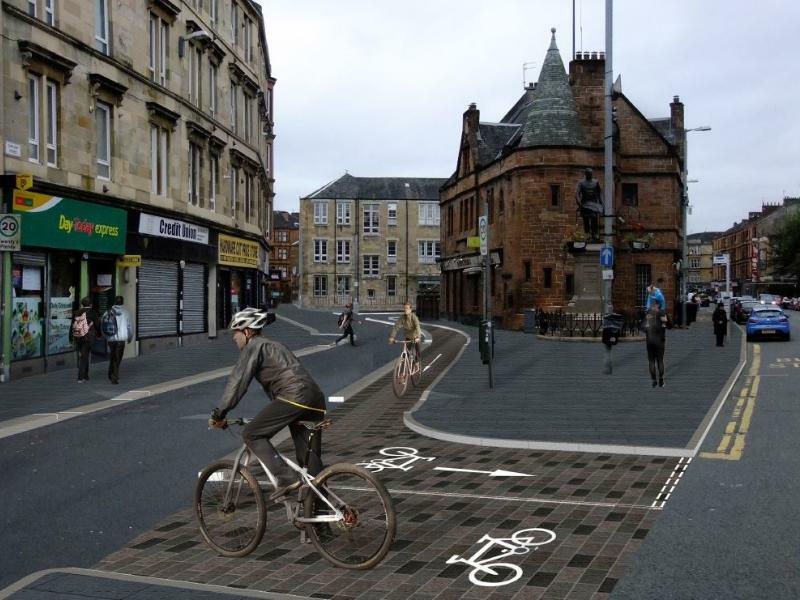 The improvements to the public realm will link to the forthcoming Govan - Partick bridge, and will be a key link in the proposed active travel network running between Byres Road and the University of Glasgow over to the Queen Elizabeth University Hospital. These links underline Govan's place at the centre of the proposed Waterfront and West End Innovation District, and this work is the first City Deal funded project to be delivered in Govan. The work will also play a key role in protecting and promoting the heritage of the area, marking the first stage of exciting development proposals that will safeguard the future of the Govan Old church, improving access, enhancing visitor numbers and attracting businesses. Councillor Susan Aitken, Leader of Glasgow City Council and Chair of the Glasgow City Region City Deal Cabinet, said: "Communities across Glasgow, not least Govan, stand on the cusp of significant transformation thanks to City Deal investment. This public realm investment does a number of things; it protects the heritage of a historic area, improves the very fabric of the heart of Govan and puts in place the building blocks so it is ready to thrive from plans to make Govan a more desirable location for innovate and creative businesses and workers, not least the new bridge to Partick. In short, it makes Govan a more attractive place for its residents and those doing business there." Detail on the Innovation District between Byres Road/University of Glasgow/Queen Elizabeth University Hospital can be found at: https://www.glasgow.gov.uk/index.aspx?articleid=20034.